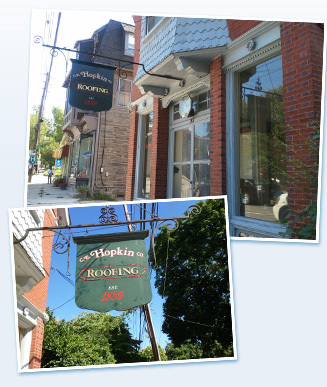 Charles E. Hopkin Co. Roofing was established in 1889 and has been at 107 Bethlehem Pike for over 125 years! We pride ourselves in customer service and quality workmanship. President and owner, Brendan Ryan, will personally visit your location, inspect your roof, and provide a free analysis. We are licensed, insured, and trained to handle all your roofing needs.